Get out of the city for a day in the countryside on this bus tour from Perth. 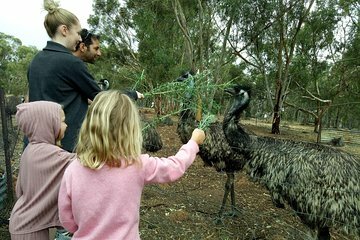 You'll visit an emu farm, the historical town of Toodyay, and the Space Place Observatory, plus enjoy one of the following activities: a pottery demonstration, a tour of an alpaca farm, or feeding kangaroos. Dinner is included.